Ryerson University’s Spanning the Gaps program has just received a $1 million donation from the TD Bank Group in an effort to help adult learners further their education and grow their careers. Spanning the Gaps has been selected as one out of ten programs that will receive a $1 million donation as part of the 2019 TD Ready Challenge. The nearly 12-year-old program strives to provide mature students that may have educational gaps and/or lack formal admissions requirements with a post-secondary education through The Chang School for Continuing Education. Majority of the funds will be donated to Spanning the Gaps’ Transition Foundations Program. Through this part-time program that spans over one to two years, students are able to take non-traditional, yet transitional pathways to obtain a post-secondary degree. They are enrolled in credit courses and are given academic and non-academic support throughout. Third-year business management student, Eduardo Rodriguez, completed the Transition Foundations Program in 2016. He mentioned the positive experience he had, and the significant impact TD’s donation will have on Spanning the Gaps in the upcoming fall semester. Another portion of the money will be set aside for Spanning the Gaps entrance awards and undergraduate bursaries as part of Ryerson’s President’s Awards to Champion Excellence (PACE) initiative, allowing under-represented students to access higher education. 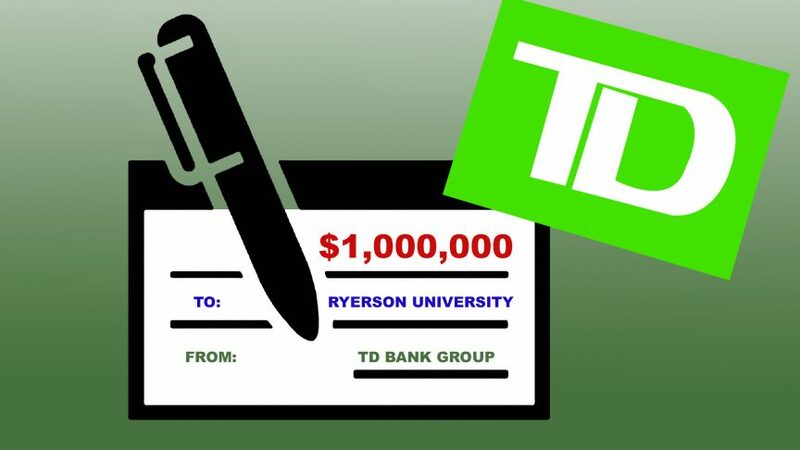 As Rodriguez mentioned, this donation comes just as impending tuition cuts enacted by the provincial government pose a threat to adult students, especially those who heavily rely on bursaries and awards provided by Spanning the Gaps.